We went out on three tours today under gloomy and misty conditions in the morning, but partly sunny in the afternoon. There was literarily no wind in the fjord so that the surface was mirror like. On the classic tour we could get really good looks of two humpback whales, Miso and Pepper and one minke whale. With the Rib boat we went all the way to Hrisey and saw around 10 whales including well-known individuals like Jackson, Tattoo and Manu. 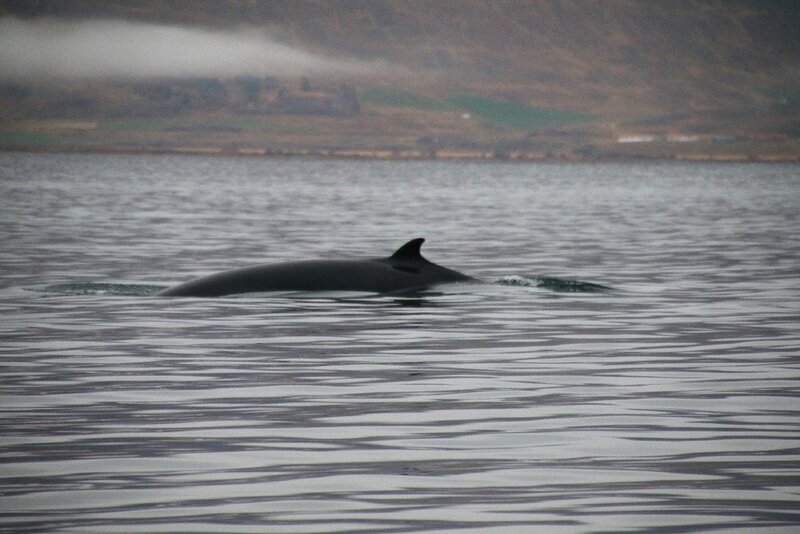 We were also extremely happy to welcome back a humpback whale called ‘Netflix and Krill’ back in the fjord. An absolute pleasant day out in the fjord.